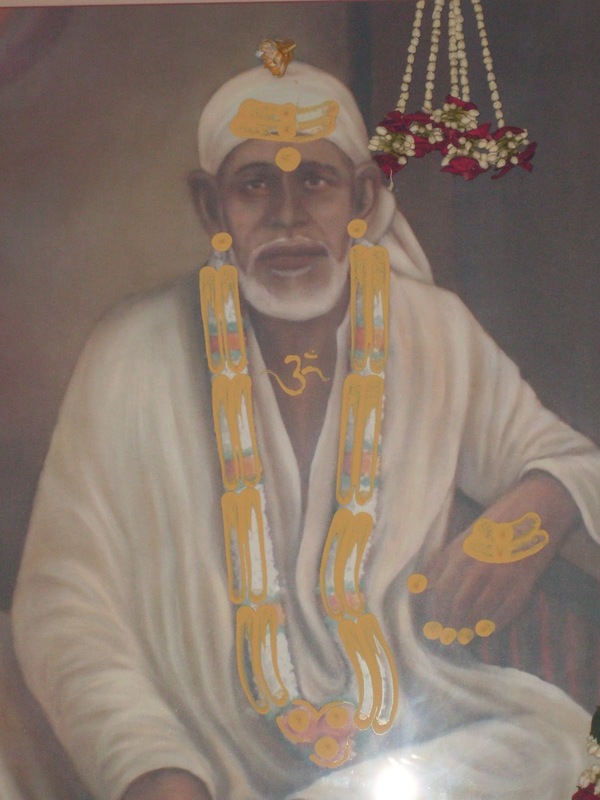 Om Shri Satchitanand Sadguru SaiNath Maharaj Ki Jai. Devotion, worship and meditation, if we look through Sai Satcharitra and Sai Baba’s teachings, one most essential ingredient we find is love. Love for the ‘SadGuru’ or ‘love for Divine’ or ‘love for a form of God or Goddesses’. Due to common misconceptions with meditation, many might think. Meditation and love? Most people are likely to take meditation with either concentration or relaxation, peace of mind, rejuvenation. It is very unlikely that love would come to mind as a part of meditation. 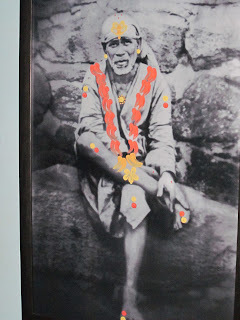 Shirdi Sai used to say, “Our ways are different.” Let us see one of them. 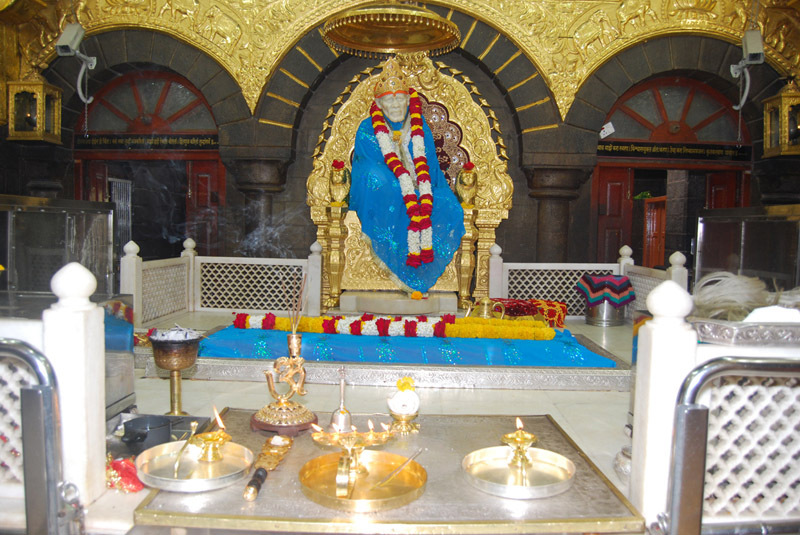 In Shri Sai SatCharitra we receive the teaching on meditation, from the mouth of the Master Himself, the story describing the love between Him and His guru. 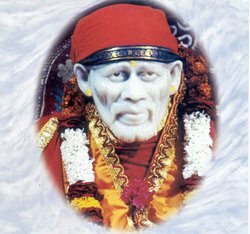 So let’s go through this story which Sai Baba told to an old woman, desperately seeking a mantra for her spiritual progress. 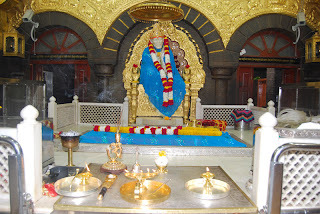 Shri Sai called her and said, “Mother, why do you sit so adamantly observing a fast? 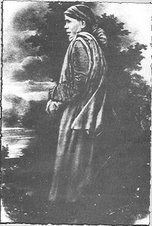 Why do you think giving up life thus?” Here we note that although the lady was adamant and was a cause of worry for many devotees, Baba called her with affection and respect. It will be interesting to note that Baba always addressed old grown up ladies as Mother. Whatever their status of social, cast or creed. Guru Sai charmingly addressed elderly gentlemen as ‘Kaka’, ‘Bapu’ or ‘Bhai’. All names denotes affection with respect in the local language Marathi. Affectionate as His heart was, His words too were melodious. 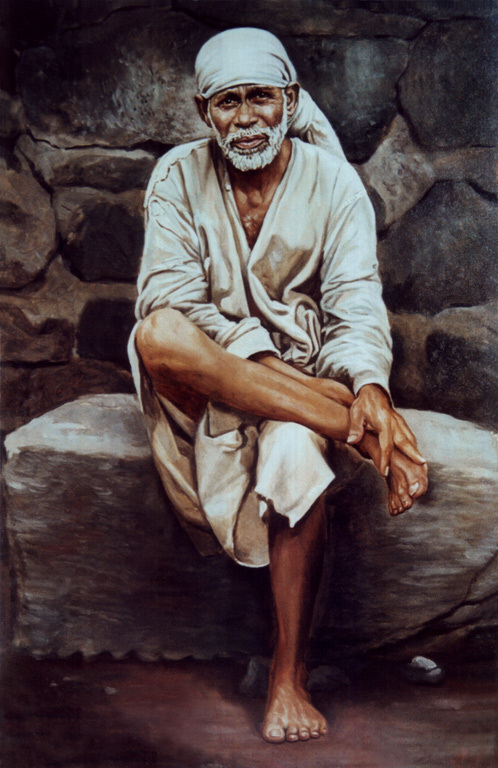 Sai is the protector of the meek and Sai is compassionate towards the afflicted and the suffering. So Baba called her and made her sit in front of Him in Masjid (Dwarkamai). 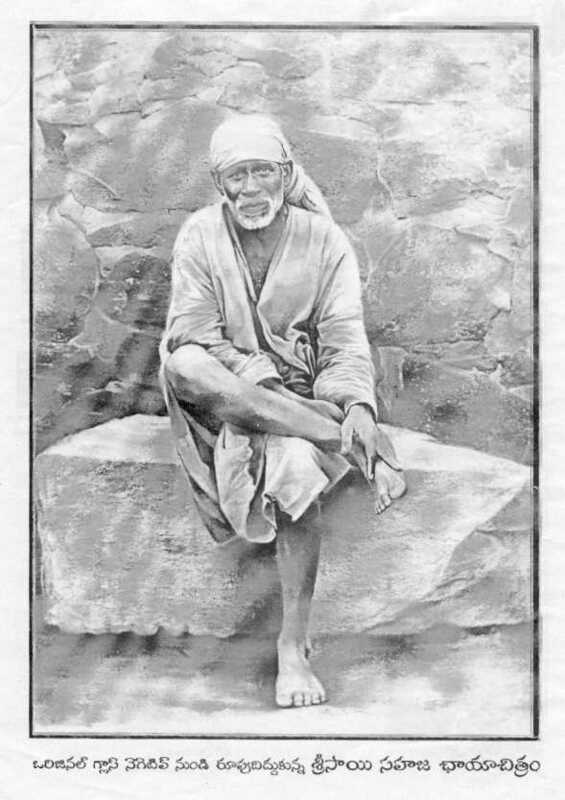 Sai then passed to her the secret key to His greatness. Let us imbibe the showers of blissful Self-rejoicing, from the divine compassionate rain that showered from Baba, the bliss and knowledge incarnate. I will tell you a wonderful story which will give you great happiness. Really unique is the way Baba talked. He is Satguru, He is the one to whom so many go for refuge. He is the one in whose presence so many feels the bliss and get the taste of divine world. He affectionately said, "Mother tell me truly! Why do you inflict so much pain on yourself? I am but a Fakir, who goes round for morsel of food. Be kind to me! Really I am your son and you are my mother. Listen to me. I will tell you a wonderful story which will give you great happiness." The story begins with characteristics of Guru and immediately He also shows characteristic of a sincere disciple(in this story Himself) or devotee. In this whole story we will go through the required and essential characteristics of both the Guru and the devotee or disciple more often. 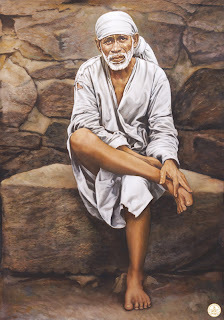 Baba continues to tell the story, “You see my Guru was an ocean of compassion. I went on serving Him, till I was exhausted, but He did not whisper any mantra in my ears. I too had a strong desire never to give up His refuge and receive a mantra from His own mouth, even it meant a prolonged effort. What does a Guru expects from disciple? 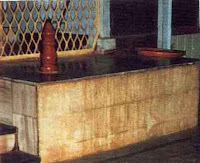 “And so, for twelve years I remained at Guru’s Charan (Holy feet). He reared me as a child as I grew up. There was no dearth of food and clothes and His heart was emitting love for me. He was the very image of love and devotion. His affection for disciple was genuine. Rare indeed is a Guru like mine. I cannot describe the bliss I enjoyed in His company. Oh, how can I describe His love. As I looked at His face, my eyes would be absorbed in meditation, giving us both an experience of bliss. To look at anything else, I just did not know. I lovingly gazed at His face day and night. I knew no hunger and not thirst. Without my Guru I would get restless. Guru’s Nazar or graceful glance. Steadfast faith in Sai Baba - for the spiritual progress. “You go and eat something. Do not put your life at risk." 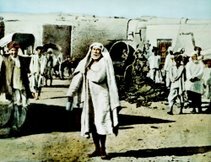 In this way, the words spoken from Baba’s mouth in His divine presence made a deep impression on the heart of the old lady and she ended her vow. However, it does not end here for us. There is lot for us, ahead. This story was narrated to Hemadpant, the author of Shri Sai SatChartra by Shama. Once while Hemadpant was pressing Baba’s holy feet. 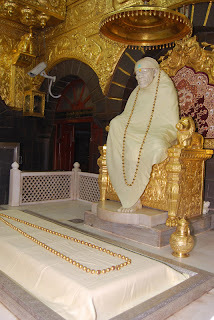 He learnt about Shri Sai’s grace bestowed on Mr. Sathe after one reading of Guru Charitra. 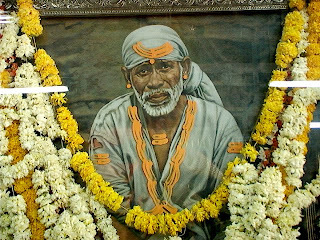 How Sai blessed him by appearing in his dream and asked him to do one more parayan and that would help him. Sathe could not understand the meaning of this dream. So he urged Kaka Saheb Dixit to go to Baba and ask about the significance of dream to Guru Himself. 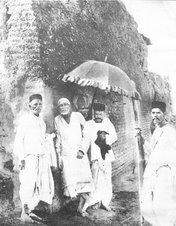 So, seizing and opportunity, Kaka narrated Sathe’s dream to Baba and requested for the significance of Sathe’s vision from Sai’s own mouth. 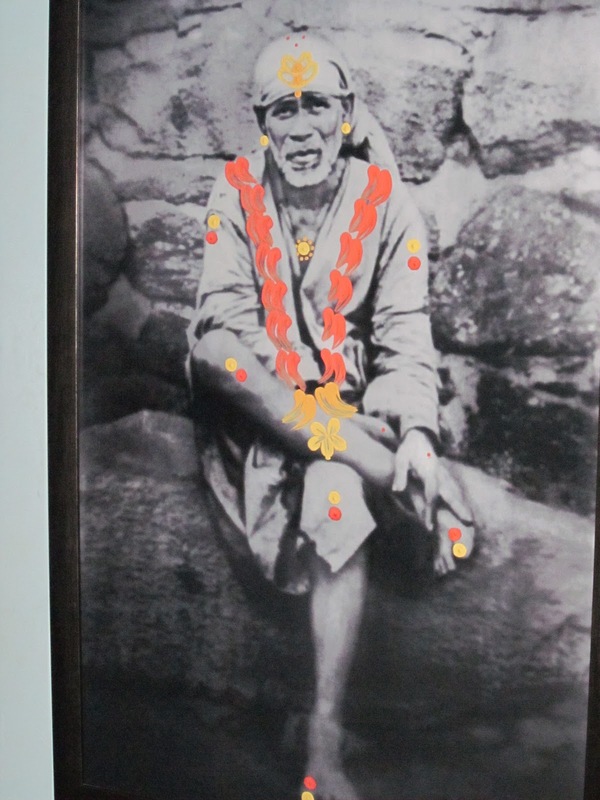 What Baba Sai said about the Parayan. Listening to this, Hemadpant mind got a little restless even in presence of Sadguru Sai Baba. He thought that he has been reading (doing the parayanas) this sacred literature since 40 years. Comparison sprang up in his mind. 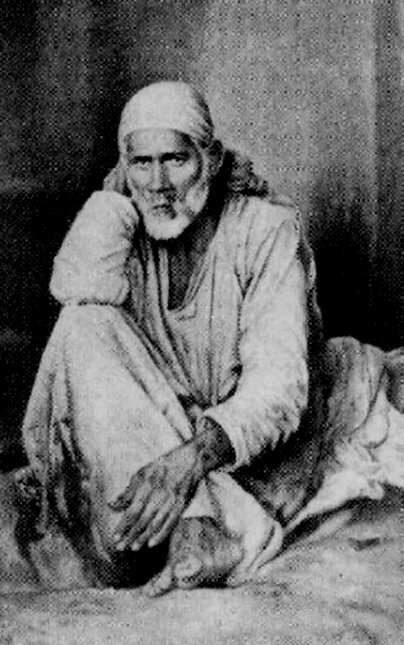 One of the strange and sure ways of teachings of Sai Baba. No sooner did these thoughts cross Hemadpant’s mind, Sai knew it. 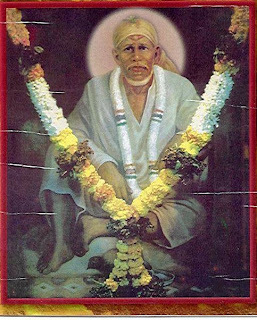 As stated above Baba’s ways of guiding the devotees are strange and unpredictable. He wanted to impart very important teaching to Hemadpant and we, the devotees to come across this story. So He told him, “Get up and go to Shamya (Madhavrao Despande) and bring fifteen rupees from him. Sit with him for a while, talk to each other about things. Then come back soon, bringing the dakshina that he gives. Not wanting to add disobedience to the Guru’s word. Hemadpant immediately left the Masjid (Dwarkamai) and set off for Shama’s house. There this story was revealed for the good of Hemadpant and all readers of this story to come. As this story got over, Hemadpant was taken over by some spiritual ecstasies. He writes in Sai SatCharitra that after seeing this leela of Sai Baba his throat was chocked with joy; He was overcome by profound love. The excellent lesson was deeply imprinted on his mind. What happened in Shirdi every afternoon in Shirdi? After this Bapusaheb Jog use to perform ‘Pancharati’ with loving devotion, all the other devotees joined in singing the arati with love and devotion. A huge bell in Dwarkamai would begin to clang loudly, indicating to the villagers and the devotees that the afternoon arati is about to begin. Both Hemadpant and Shama herd the loud clanging of the bell and were drawn towards the Dwarkamai. 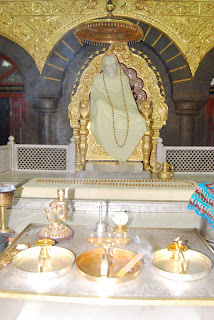 Little description about after-noon arati in Shirdi during those days. The arati was performed in noon by men and women together. Females occupied the mosque above, and gentlemen in the open Sabha-mandap below. With great joy they would sing the arati at the top of their voices. Drum-beats and other festive musical instruments accompanied their voices. When Hemadpant and Shama reached Dwarkamai, the arati was loudly in progress. The Sabha-mandap was crowded by male devotees, leaving no room for anybody to climb up the steps of Dwarkamai. 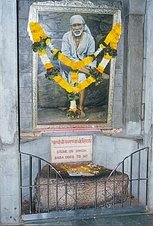 Hemadpant thought of waiting for the arati to complete and then approach Baba along with other devotees. As he was thinking in this manner, Shama had pierced the crowd and climbed up the Dwarkamai. 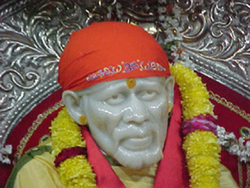 He held Hemadpant’s hand and pulled him upwards, took him straight to Baba. 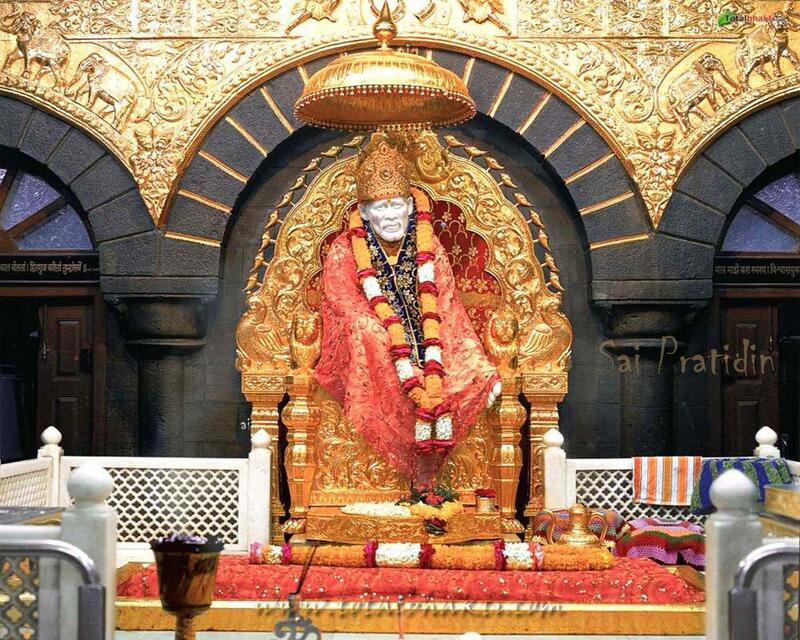 Baba’s behavior during the after-noon arati. Baba sat on His own usual place smoking a Chillum, leisurely. In front of him stood Jog, waving the pancharati and tinkling the small bell held in his hand. 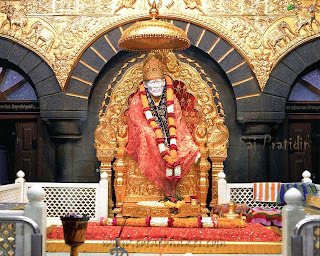 Shama in the joyous spirit of the arati sat himself in front of Shri Sai and made Hemadpant sit at Baba’s right hand side facing Him. 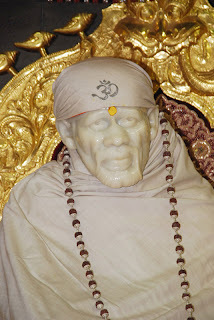 Also eagerness to listen to Hemadpant is a leela of Sai. He knew beforehand what had happened. Still, to give us all very important teachings He asked Hemadpant so that He could throw more light with His words, which even today devotees such as us can imbibe and be benefited. 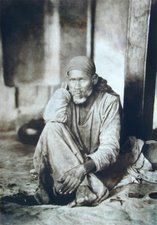 Hemadpant replied that Shyamarao himself was there, and he had sent he has given 15 salutations instead of dakshina, which are in themselves 15 Rupees and should be offered to Baba. The arati was being sung loudly, yet Baba was eager to listen to the story and Hemadpant also eager to narrate the same. He could hardly contain the great joy within and it flowed from his mouth unrestrained. Baba who sat leaning against the cushion, now leaned forward to listen. Hemadpant put his face forward and began to narrate the story. The story was freshly heard by Hemadpant, moreover it had made a strong impression on his mind. So he narrated it to Baba. Sai looked very pleased to listen to this story. Baba throws more light on Meditation. Are not our ways unique! 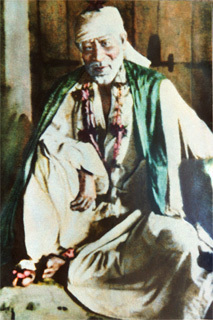 “Are not our ways unique!” said Baba. Remember this one thing it will be very useful to you. “Knowledge of Atma based on one’s experience, is gained by meditating on it single-mindedly. Such meditation itself is the act of propitiating it. It alone brings self satisfaction. What is needed from young ones or meditator? What is the significance of the story for us? “The importance of meditation is greater than that of knowledge. But for that, the right knowledge of the object of meditation is needed. Thus, without complete understanding of Brahman, proper meditation is not possible. Therefore through experience, proper knowledge of Atma is the basis of meditation. It is also the Karma or act of gaining favor from the True Self. “When the repeated contemplation becomes perfect, and the difference between the meditation, the one who meditates and the one meditated upon disappears. Then the mind becomes calm and steady, Like the lamp in windless night. This is Samadhi. Free from all desires, and knowing that he dwells in all living beings, that ‘Nothing exist in world but I’, when a state of fearlessness comes, it is then that the real self appears in the meditation. Then the ties of karma, born out of ignorance begin to snap, one by one; the restraints of laws about what should and what should not be done are shed away. The joy of complete liberation is experienced. To experience the oneness of self of in all beings is the utmost limit of all knowledge. Liberation and Bliss are born from such knowledge. Even if you bring a skilled orator like Brihaspati, to describe an elephant to a blind man. Still his oratory will not bring the form of elephant to a blind man’s mind. What is beyond description cannot be explained by speech. Eyes alone are needed to see the form of an elephant. Without eyes how can a blind man have an experience of seeing an elephant. Similarly, only when the Guru gives the Divine Eye, one can experience Sat Chit Aanand (knowledge). May I request u to send the same in telugu script, we can understood very easily, for which of action I shall be grateful to u. You may get Shri Sai SatCharitra verse to verse translation in Telugu if available, else from abridged version also you may read chapters 18 and 19. To get insights on what Baba suggested for meditating on Guru or Himself. 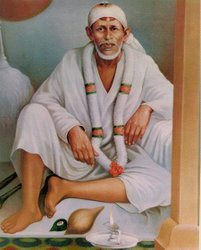 Such a wonderful sayings BABA preached to the common people of the world, follow Sai BABA and become one of he devotees and Chant Sai Baba Bhajans and get the blessings of Sai Baba. I am very grateful that you explore the topics so thouroughly.